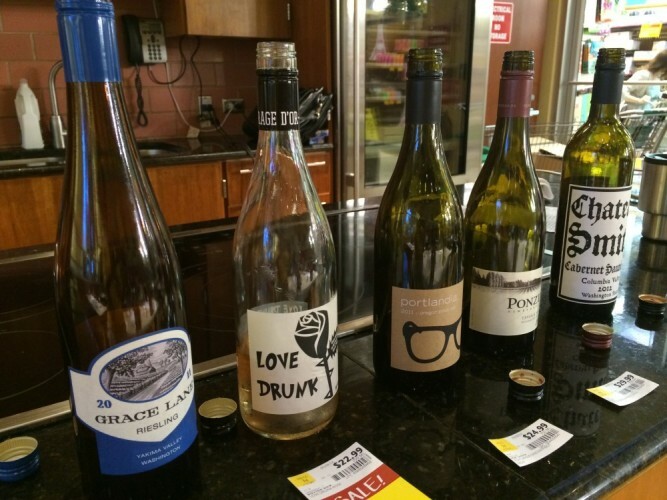 I was recently invited to a wine tasting at Whole Foods in Boca and it was nothing at all like I imagined. We were set up in a classroom-like setting, with wine glasses and little water cups in front us, a powerpoint presentation ready to go up on the screen, and five fun-looking wine bottles and plates full of goodies waiting for us on the table. Different from the typical wine tasting event that I’ve been to, but nonetheless just as informative and satisfying. 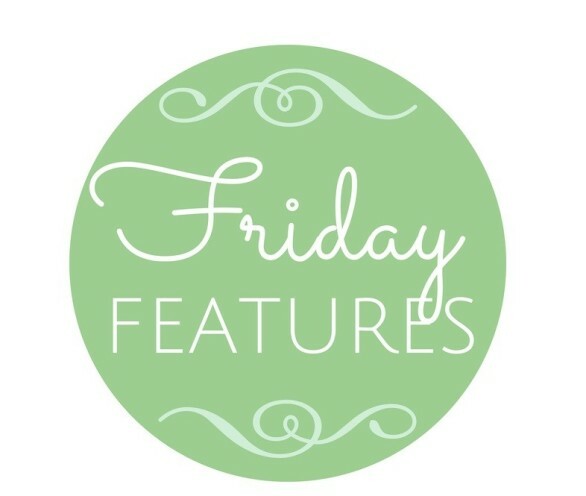 I really enjoyed the wines chosen for us that night, so I’ve decided to feature them for today’s Friday Features post. These are all wines from the Pacific Northwest region of the US, namely Oregon and Washington State — two places I have never been but are definitely on my travel bucket list! Whole Foods certified sommelier, Melissa Woods, really engaged us in interesting information about these two regions of our country. She paired each wine with something specific to the Whole Foods store and had plenty of bottles for us if we wanted to purchase any of the wine. Let’s start with my favorite of the night: 2011 Grace Lane Riesling from the Yakima Valley in Washington State. This wine is made from 100% riesling grapes and won “Best of Class” out of 5,800 wines during the San Francisco Wine Competition. It’s a delicate smooth wine, with aromas of green apple and peach. Riesling is hands down my favorite variety of wine — well, only when it’s sweet! This was a winner for me and I couldn’t leave without buying a bottle. Melissa paired it with fresh fruit — pineapple, strawberries, cantaloupe, and blackberries. Next we tried the 2011 Love Drunk Rose from the Willamette Valley in Oregon. It’s made from 100% pinot noir grapes and is produced by winemaker Andre Hueston Mack, who has worked for the legendary chef, Thomas Keller. The wine tasted of strawberry and a hint of kiwi, with a little bit of watermelon rind hinting at the back of your taste buds. It had a very sweet, fruity smell. We had some really tasty cheese and crackers with this wine — Piave Vecchio which is 100% cows milk cheese from a protected area of Italy. I would probably buy this bottle of wine without even tasting it because of its name and label — but it also did taste good, so it’d be a win-win. Our third wine of the night was the 2011 Portlandia Pinot Noir, another wine I’d purchase for the label design. This is a combination of 80% Willamette pinot noir and 20% Rogue Valley syrah. Winemaker Judy Thoet is all about sustainability — the label is made with a soy-based ink and is 100% recyclable. She also only produced 1,000 cases of this wine, so there isn’t THAT much to go around… We ate more cheese and crackers while tasting the sweet and spicy flavors of this wine. Melissa said she doesn’t normally showcase two of the same wines, but she loves pinot noir so much that she had to let us try one more. The 2011 Ponzi Pinot Noir is from the Tavolo Vineyard in Willamette Valley and tastes of deep plum, licorice and vanilla. On paper, this isn’t really on board with my tastebuds…licorice, blech. But it wasn’t so bad. The winemaker also produces a Pinot Gris, which is a white variety that I really like, so I ended up purchasing a bottle of that too. The last wine of the night was the 2011 Chateau Smith Cabernet Sauvignon, a combination of 93% cab, 6% petite verdot, and 1% malbec from Columbia Valley in Washington State. This wine is produced by musician Charles Smith who was named 2009 Winemaker of the Year by Food and Wine Magazine. He is also the producer of one of my favorite rieslings, KungFu Girl. The wine has notes of red currants and wild berries. It’s deep in color and flavor and paired perfectly with a Belgian Chocolate Brownie made in-house by the Whole Foods bakery. Whole Foods has become one of my favorite places within the last few months. Not only do they put on tastings, but they also hold cooking demos and classes and even host a pop-up restaurant once a month. Check out your local Whole Foods to see what kinds of events they have going on. Disclaimer: I was provided with complementary admission to this Whole Foods wine tasting event.